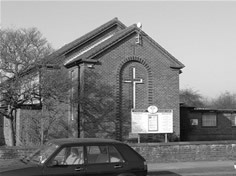 Magdalen Way Methodist Church seeks to serve the Estate Community on which it is set. We work with Community Partners and ecumenically with St Mary Magdalene Parish Church. The East Norfolk Circuit through Magdalen Way support the ecumenical Youth Project called ‘Identity’ led by the youth minister Mrs Ruth Witheridge. Identity seek to meet the Spiritual needs of all youth of Gorleston aged from 11 -21 through specialist activities and worship. Sunday Worship: Sunday Mornings at 10.00am:a mix of traditional, contemporary and all age worship, Holy Communion monthly. First Thursday of the month ‘Allsorts’ 7pm-8.30pm for adults with learning support needs, a chance to explore their spiritual lives. All are welcome for worship and fellowship.